For all the people who said I didn't learn anything this week, I can now say that I know how to make a Theta. It is also apparently known as “Dead Week,” but since UChicago is special we only get two days for this epoch. “The week is known thus because of its notorious stress; the propensity for college and university students to save exam study until the last possible week; and because term papers are often due. Students prepare for the exams and papers by pulling all-night study sessions, often with the aid of stimulants such as coffee, caffeine tablets, and energy drinks. During this period, some students will suffer from sleep deprivation, increased irritability, and stress. At some schools, this week is referred to as Hell Week, Reading Period, or Reading Week. So, how would I recommend spending this week? Surely I spent it productively, working on the immense amount of work that I knew I would have the next week, right? I have to have spent some of this time reading…something, right? In a word, yes. I did do a lot of reading, however none of it had to do with class, because the way my mind works is that if I don’t have class…I’m not going to go to class. The first thing I did was not go to an optional class discussion, in favor of going to Congressman Patrick Murphy’s final seminar at the IOP. His seminar had been precisely during my class this quarter, so now that I finally had the opportunity to go, there was precisely no way I would miss it for something I wouldn’t actually have to go to. It was as phenomenal as I had anticipated, and I had fortunately also scheduled to go to his office hours, which were also as great as I had expected (when I was telling people after about how great that was, they were shocked to hear that the IOP fellows have office hours, which they do, and I strongly encourage everyone to utilize). After going to math office hours (see, I did study…a little), I then went back to the IOP to go to Steve Schmidt’s final seminar. 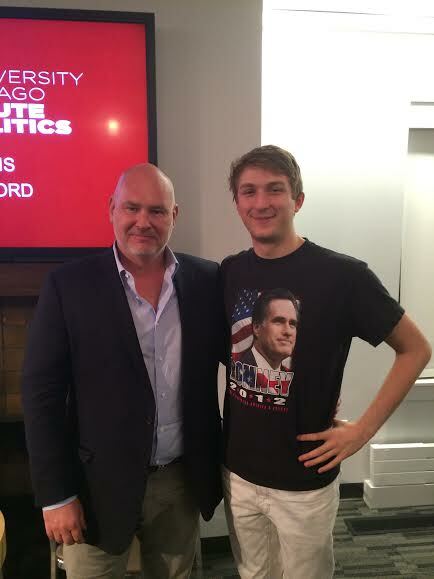 If you missed Steve Schmidt’s seminars, you missed…a lot. Shockingly, after this, I then actually worked a lot on papers I have due this current week, so I could then stop doing work the next day. At UChicago, we procrastinate work by doing easier work, after all. 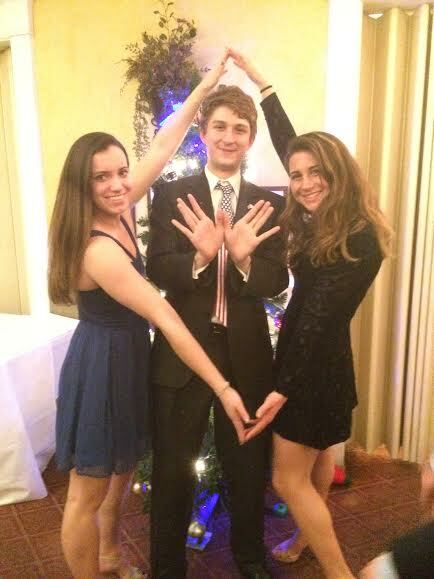 Since Reading Period is only two days, for the second day, I decided to mostly not do work and then made the (correct) decision to go to AEPi formal instead of doing work. For some reason, a lot of people would rather not go (this is UChicago, after all) so they could do work instead. I decided that formal is more fun than work, and I was definitely right, as everyone who wasn’t there told me after. So basically, what are the lessons that you can learn from this? Do a little bit of work, go to the IOP a lot, and remember that there will always be more work to do, so enjoy these two days off. We won’t get a single snow day here, so we might as well make the most of every day off we get. And maybe, just maybe, you can yell a little. But do it quietly. For all the people who said I didn’t learn anything this week, I can now say that I know how to make a Theta.